Although pure white and off-white have remained the default colors for majority of the home ceilings around the world, yet people have started to opt for other ceiling paint colors too. As the ceiling décor trend has started to change, the interior designers have come up with many new and amazing ceiling décor ideas that are second to none. 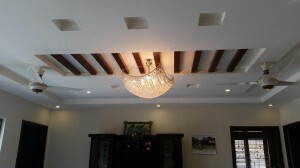 Some are using textured ceiling papers, while others are opting for plain colors. Although the colorful ceilings are not a brand new trend, as they were used earlier in bigger homes and mansions, but now the trend is adopted for smaller homes. 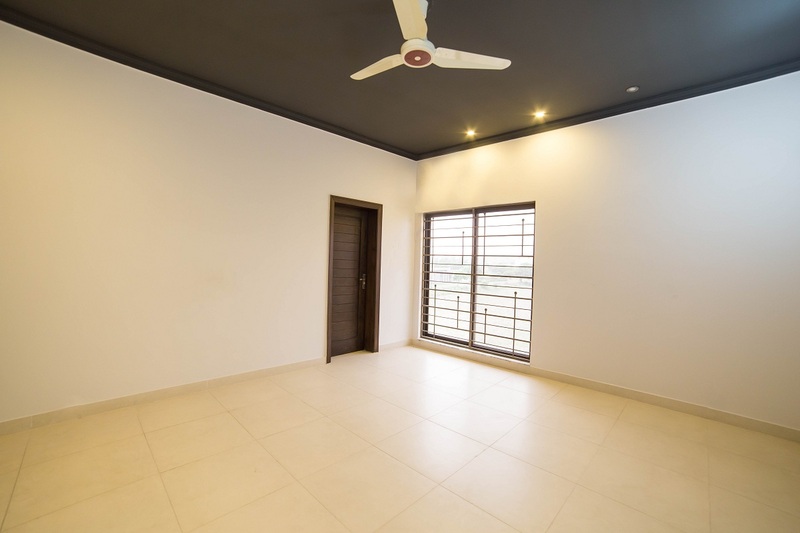 If you look at the modern house designs in Pakistan, you’ll observe the following trends in walls and ceilings colors. If you are planning to make your bedroom or any other space of your home intimate, you should paint the ceiling and walls with a single color without taking help of the contrasting technique. The impact of a plain-colored wall and ceiling is soft and seamless. The color experts around the world recommend home owners to use warmer shades to achieve this look rather than the lighter ones. Jackie Jordan, who’s one of the color experts at Sherwin Williams is of the opinion that more and more people are coloring up their walls and ceilings with darker shades. The odd types of ceiling like bead board ceiling, planks and the exposed beam ceiling always draw attention of people when sitting within, however, an intelligent dose of color would help reinforcing the effect. The best idea is either paint the recessed areas of the ceiling or completely paint the ceiling in a uniform shade. This would allow you to add a lively feel to your room. Apart from this, hanging fanciful pendants that matches the shade of the walls and ceiling also help grabbing the attention and ensuring wow factor! The furniture you place in your room should also be in accordance with the walls and ceiling. Placing odd-colored furniture in your room would take away all its beauty and elegance. One may either match furniture with the ceiling and/or walls or make an intelligent contrast. Contrasting dark color furniture with lighter walls and ceilings is a great idea just like making a contrast of light colored furniture with dark colored walls does its job. Interior decoration is a not just a game of selecting right furniture, pendants and other accessories for grabbing the attention of visitors. In fact, it is more about the intelligent incorporation of colors that make a winning combination with the ceiling and walls. The best idea is to consult a professional interior decorator in Lahore and tell him your requirements. This would help you staying within your budget and getting the best quality work done for less.